Everyone seems to be in a saving mood these days. 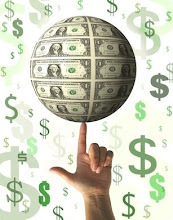 And coupons sites have sprouted up all over the internet to cater, or even feed this frenzy. My family find coupons indispensable whenever we shop for groceries. With this recession severely affecting our household income, every cent counts. We have saved at least thousands of dollars from coupons, it is no surprise that coupons enjoyed a resurgence among our friends and relatives after looking at our success. To get started, visit ValPack, WOW-Coupons and CoolSavings to browse their diverse collection of coupons (usually 10% to 30%) for local stores. 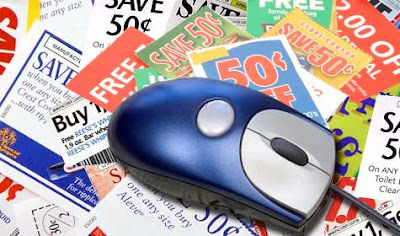 Unlike paper coupons, online coupons are usually promo code which you key in when checking out. And don't forget to check manufacturers' and retailers' sites. CurrentCodes, CouponCabin and RetailMeNot offer attractive coupon codes for branded retailers. You can subscribe to your favorite merchants' e-mail lists for updates. Thanks to the advent of technology, we can now our cellphones, besides the internet, to get instant discounts. The savings will help to pay for our phone bills every month. Cellfire sends local coupons directly to internet-connected cellphones. You can browse, save coupons and then claim your discounts by showing your phone at checkout. Cellfire has partnered with Kroger's grocery store which allow you to link coupons to your loyalty card. Discounts are applied automatically when you check out. There are other grocery stores which participate in such programs, just visit their sites and check their details. Don't check out the stores by calling directory assistance services as the charges are rather costly. You can call 1-800-GOOG-411 (1-800-466-4411) for Google's 411 service powered by voice-recognition software or 1-800-411-SAVE (1-800-411-7283) to speak to a person. Both services are free. Often, we pay full price when we actually qualify for discounts but are not aware of it. For example, if you are buying software applications from Adobe Photoshop or Microsoft, you should use your kid's student pass as they qualify for deep discounts. JourneyEd, Academic Superstore or Gradware are also worth a look. In addition, school bookstores have great deals or discounts offered directly by manufacturers. Military personnel can get discounts when they purchase products through Army and Air Force Exchange Service and Navy Exchange. You can learn more at Military.com. Some companies offer discounts directly through employee discount partnership programs. Check with your company's HR department for more information. If you don't qualify for these discounts, why not buy refurbished products at Buy.com? Just make sure you get a full warranty. Price comparison sites NexTag, PriceGrabber and Shopping help you find low prices online in a quick and easy manner. The sites check an item's price on various sites but you should beware of scams especially from little-known merchants offering prices way below their competitors. If your budget doesn't allow you to buy an item immediately, why not sign up for price drop notifications which update you when items hit the prices you specify. Sites like Price!pinx, ZingSale or WishRadar (price drops on Amazon) offer low-price guarantees. Freebies are popular on websites to entice visitors, subscribers and customers. You'll find free samples on retailers' and manufacturers' sites. DealTaker's site lists many free items. Or you can use Google to search for "free samples." It is important to make sure shipping is free. There are many free shipping coupons for more than 500 stores at FreeShippingOn. You'll also find free software online but a word of caution is many of such free programs include malware. For example, save on printing costs by using a special font, the Ecofont. Or, print select parts of Web pages with HP Smart Web Printing. Finally, a reminder to always watch out for scams. Watch out for sites and clubs that charge you money so that you can save money. And remember that offers that seem too good to be true usually are. Did you know? In the US many small businesses are using Merchant Circle.com and that means that many have coupons! And for those with a business in the US, you can claim your free listing and access some very good tools with the free version. In the interests of transparency, I should mention that I co-moderate the forum there and we welcome new members with ideas to share or questions they need help with.